In this edition of the SA parkrun newsletter, we welcome two new events to the parkrun family, see a local parkrun mentioned in the international press and bid a fond farewell to our Gauteng Regional Director. We also hear how parkrun helped train our Grandmasters Hockey team for international competition, and celebrate our parkrunner of the week, Margie Parker from Bryanston parkrun. 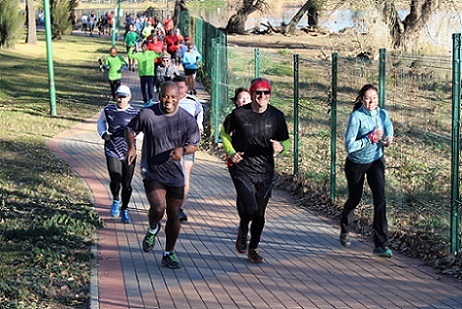 After a few weeks of consolidation, it was exciting to start our 82nd parkrun on Saturday at Germiston’s Victoria Lake. It was a perfect winter’s morning with warm sunshine and coots, ducks and moorhens splashing about in the sparkling water of the lake. The 400 parkrunners gathered at Victoria Lake might have been forgiven for thinking that spring had started early on the Highveld. (As we now all know that was the calm before the storm as bitter winter weather lashed the country two days later). As I stood up to say a few words I recalled that two years earlier, on a wintery day on Umdloti’s beach front in KZN I bumped into a very determined Simon Treston. He told me that he wanted to start a parkrun in Germiston and asked what steps he had to take to achieve his dream. It has been a long journey, with many different routes planned and changed, but finally on Saturday Victoria Lake parkrun was launched. The verdict from everyone who ran and walked the two lap course is that it is an outstanding parkrun and will become a popular event for the Germiston community. Congratulations to Simon, Tracy Little and the team at Victoria Lake. It was exciting to see our national supporting partners well represented at Victoria Lake. The inaugural run was also graced by two Comrades winners; Alan Robb (4 times winner and 42 medals) and this year’s female champion, Charne Bosman. It was Charne’s first parkrun and she told me that having run her first, she now understood the enthusiasm for parkrun. Alan is retiring soon to Port Alfred. parkrunners can expect a Port Alfred parkrun to start in the next few months! Next Saturday we start another Free State parkrun with the launch of the Ladybrand parkrun on the border of Lesotho. Anthony Halse, Zelda Brits and the Ladybrand team have laid out a fun but challenging parkrun on the golf course below the Ladybrand mountain. A number of parkrun tourists have made plans to travel to the inaugural run and not even the chilly winter conditions will dampen their enthusiasm. After all winter at the base of the Maluti Mountains is a special treat. Ladybrand is particularly close to my heart as, in the 1920’s, my Grandfather was a postmaster there and also in neighbouring Maseru. Two weeks ago, I was reminded of the simple magic of parkrun when on a trip to Sydney, Australia, I joined 400 other parkrunners at St. Peters parkrun in Sydney Park. Apart from the unmistakable Aussie accents of the event director and my fellow runners and the squawks and whistles of Cockatoos and Galahs flying overhead, I could have been running a South African parkrun. It was 5kms, it was free and most of all it was fun. Thanks to the St. Peters team for the very warm welcome I was accorded. Good luck to our SA Olympic Team as they GO for GOLD! 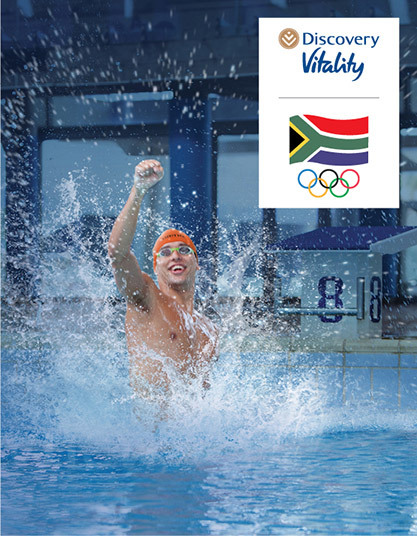 Discovery Vitality is proud to announce that we are the Official Wellness Partner of the South African Olympic Team competing in the 2016 Rio Olympics next month. The Olympic Games is the ultimate platform for achieving greatness. As our athletes strive to achieve their personal bests in Rio, we are passionate about helping our members achieve their personal bests too by promoting healthy and active lifestyles. Keep an eye on your inbox for exciting details on what we have planned during the 2016 Rio Olympics, including a competition which could see you and a friend jetting off to Athens, Greece for an Olympics-inspired all expenses paid holiday. Join Vitality in wishing Chad and the rest of our SA Olympic Team all the best as they GO for GOLD at this year’s Olympic Games. It’s the last parkrun of July, parkrunners! And that means one thing… that over the next few weekends, we get to start welcoming in those spring parkruns. It also means brand new and bright spring-inspired running gear. Why not head on over to www.mrpsport.com or pop in to your nearest MRP Sport store for activewear inspiration. With regards to your hard-earned achievement tees, we are working through these and they will be with your local parkrun event director soon! We look forward to seeing you sporting them at your parkrun soon! Greenpoint parkrun - a must do’ in 36 hours in Cape Town - New York Times. As parkrun continues to grow throughout South Africa and around the world, our very own Greenpoint parkrun has been picked as a ‘must do’ in 36 hours in Cape Town by the New York Times. The popular course passes Cape Town Stadium and winds its way around the scenic Greenpoint Park. It is certainly a highlight for any parkrunner visiting the Mother City. It is with great sadness that we say good-bye to David Ashworth as the Regional Director of Gauteng, as he leaves us to focus on his studies. David has been with parkrun SA since the very beginning (almost 5 years now) when Delta was just a small group of runners. He then started Roodepoort parkrun in March 2012, the second parkrun in SA. There were only 42 runners at the inaugural event, but David put his heart and soul into his event and grew it to several hundred. After handing Roodepoort over to a superb team, David stayed very much involved with parkrun. He started Bryanston with his wife, Ann. He also produced the newsletter for a couple of years and became regional director for Gauteng. In amongst this he has managed to start a new running club, Born to Run, all the while continuing with his studies. David, we wish you all the very best with your studies and all your future adventures. Thank you for all your hard work and dedication to parkrun, you will be greatly missed but I know we will still see you running at some of the parkrun events. 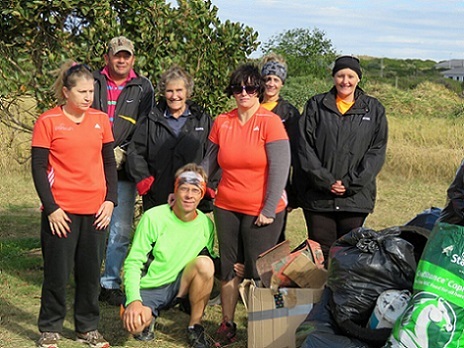 Well done to the Kidds Beach parkrunners and volunteers who cleaned along the Main Road in the Village in honour of Mandela Day. A total of 67 rubbish bags were filled in 67 minutes. 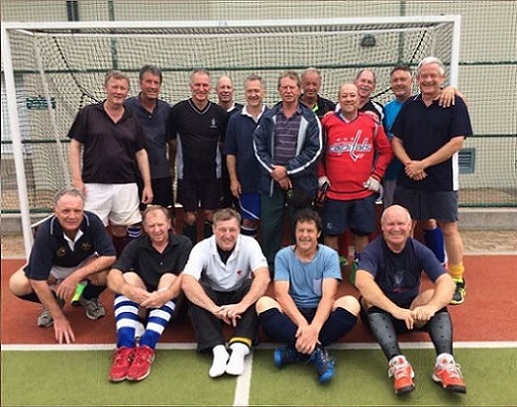 In April-May this year, I was fortunate enough to play for the SA Grandmasters 60’s team in the Hockey World Cup, which was held in Newcastle, Australia. I attach a photo of the team – taken during our training session in Cape Town in November last year. The team did exceptionally well in the tournament, coming a very creditable 5th out of 13 teams, on the way beating New Zealand, Ireland, Japan and Scotland, drawing with Germany (only to lose on penalty shoot-outs), and losing to Holland (the ultimate winners). One of the main reasons for us performing so well, was the overall fitness of the squad. We were “subject to” regular fitness analyses on the way, to ensure that we were able to last the pace of playing 7 games in 10 days (we played a practice match before the tournament) as well as to avoid injuries. Other than some minor ones, the entire squad lasted the tournament. The reason I write this is to give credit to parkrun. There were several members of the squad who ran the weekly runs in various parts of the country – I run at Bryanston, and because I live about 1.5km from the start, I usually jogged down to the start, and then back again after the race. For me personally this was about establishing what I call my “base fitness”. In an average hockey game we run about 6 to 8km. I am not the fastest in parkrun (PB 32minutes), but have always made it my aim not to walk but to run the entire course (except for the “hill” – more like mountain – at Piggly Wiggly). My strength and stamina (and my time!) improved over the weeks, and there is no doubt that this benefitted me on the hockey field. I am sure that the other members of the squad who also ran will concur with me on this. I have been running parkrun for a little over 2 years, and it has become a habit for me to get down to the start and enjoy the run – despite the icy conditions which we now endure! Thanks to all the men and women who work so hard to ensure these runs take place so efficiently each week. Loving parkrun & loving being able to be with such awesome friendly people each week! Today was a chilly day and I thought of the Volunteer Team as we gathered for today's parkrun. Many thanks for always being there for us in sunshine and in rain and mud (like today). You are a special team of people who are always cheerful, encouraging and dedicated to processing our results. Thank you parkrun SA for introducing the parkrun concept to South Africa - it is making a big difference to the lives of many. 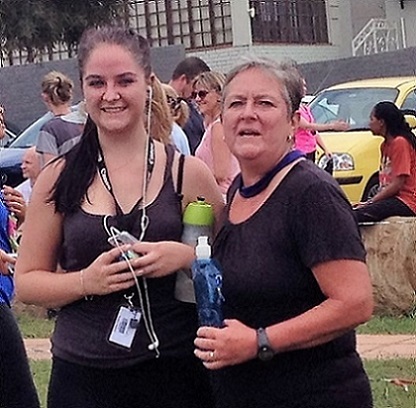 How has parkrun changed your running: I have cycled many kilometres on a Sunday for years. I was therefore not concerned with a 5km run. I got a massive reality check - cycling fit and running fit are two very different things. I am happy to report that I can now run 5km's without walking. Most memorable or funniest parkrun moment: It was last year on the wettest, most bitterly cold Saturday. We arrived to do duty not expecting anyone to show. 78 souls pitched up! The majority were British! Favourite volunteer role: Communications is the one I really enjoy although I am happy to perform any role other than timekeeping. I have an entry level running watch and always press the wrong button at the critical moment! What do you like about volunteering at parkrun: I like meeting people. parkrunners are genuinely friendly and unpretentious. Saturday is always enjoyable. Why should others volunteer at parkrun: Because it is fun. It also highlights how much work goes into parkrun. Once you have volunteered it is easier to urge others to do their bit. What fellow volunteers say about her: Margie is certainly no wallflower. 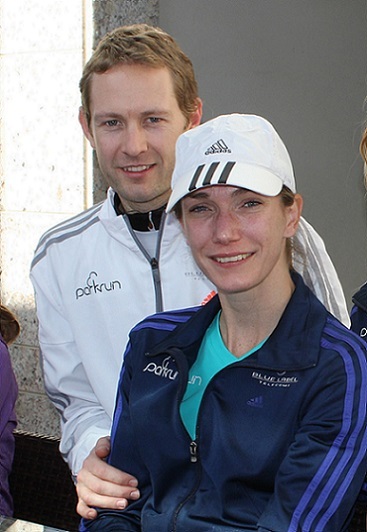 She has a strong presence and you can be sure that the parkrun will run well and efficiently when she is around. I believe no one has ever complained to Margie about anything at parkrun. However this may be because she always tells parkrunners at the start that if you do have any complaints to speak to one of the other volunteers and not to her!